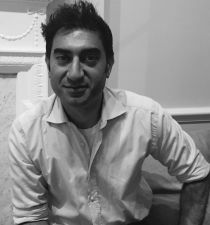 Imran Rasul is a Professor in the Department of Economics at University College London, and a Research Associate of the Institute for Fiscal Studies. He specializes in development economics, household economics, and personnel economics. In 2003 he received his Ph.D. in Economics from the London School of Economics. Previously, he has worked as an Assistant Professor of Economics at the University of Chicago, Graduate School of Business and also, as a consultant for the World Bank.